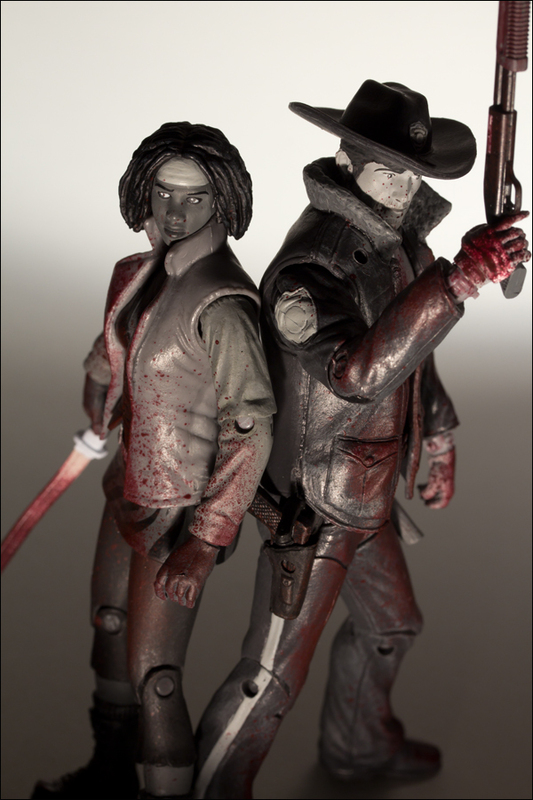 McFarlane Toys has released new photos of their upcoming The Walking Dead Comic Series 1: Bloody Black and White Michonne and Rick Grimes Previews Exclusive 2-Pack. Look for this exclusive 2pack at comic stores in May. They’ve Been Busy Killing Zombies And We Have The Photos To Prove It! 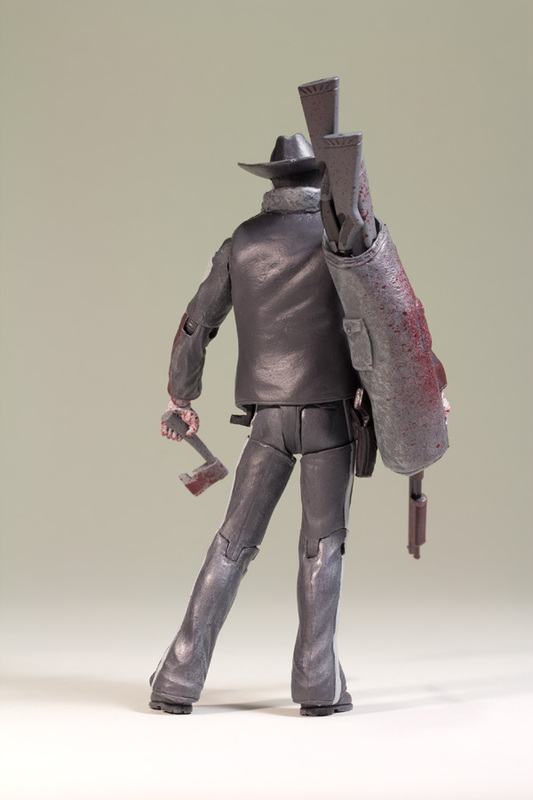 No need to ask if you are dreaming… The two bad asses from The Walking Dead Comic Series 1 figure line are back this May 2012 in a new bloody black & white 2-pack, offered as the next awesome PX Previews Exclusive from Diamond Comic Distributors. 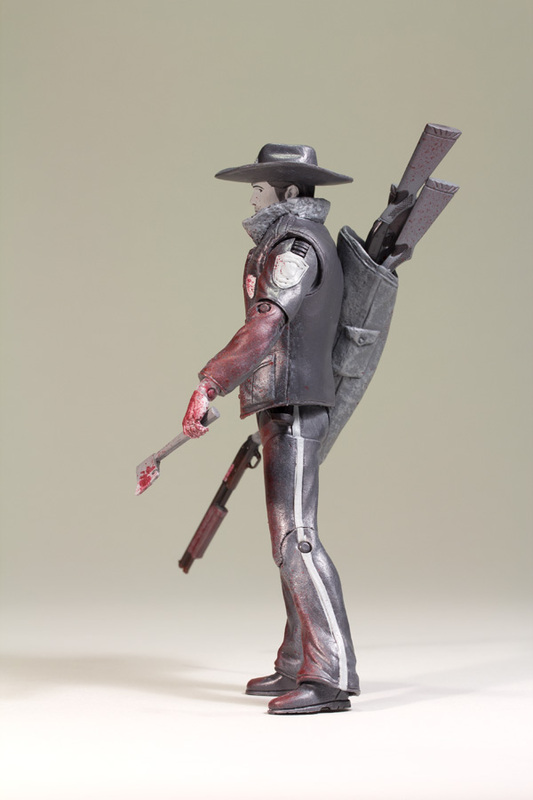 Each black and white figure still features all of the detail, accessories, and play action of the standard full-color figures in The Walking Dead Comic Series 1. And of course when you put together these zombie killing experts, things tend to get a little messy. 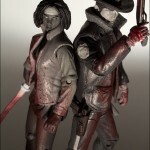 That’s why these exclusive figures include realistic blood splatter! 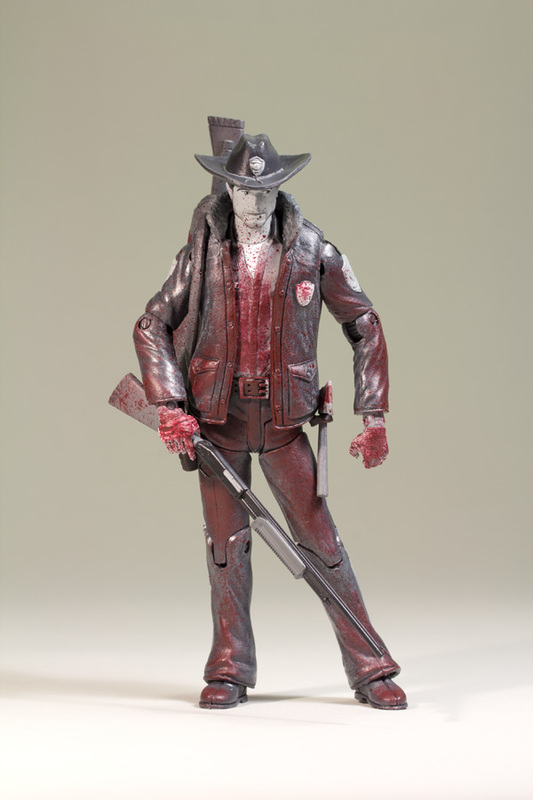 Inspired by the cover of The Walking Dead comic book issue #1, Officer Rick Grimes is depicted in his police officer uniform, complete with cowboy hat and jacket. 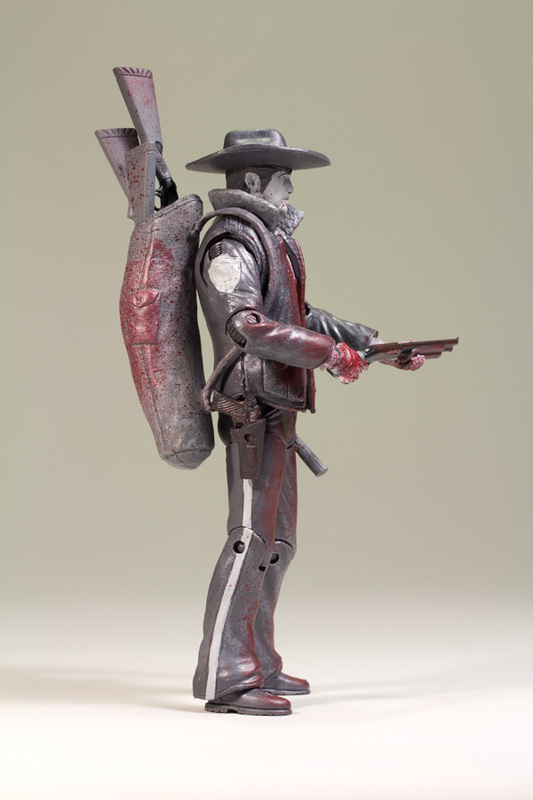 Figure comes with pistol and a police duffel bag with several removable shotguns. Features approximately 20 points of articulation. 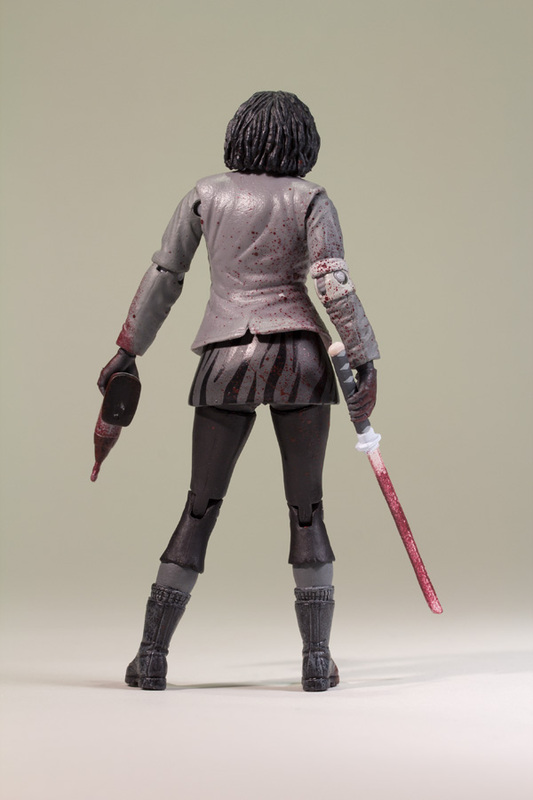 Inspired by the cover of The Walking Dead comic book issue #19, Michonne includes many of the practical and unpractical with the accessories from her unforgettable act of vengeance to come. 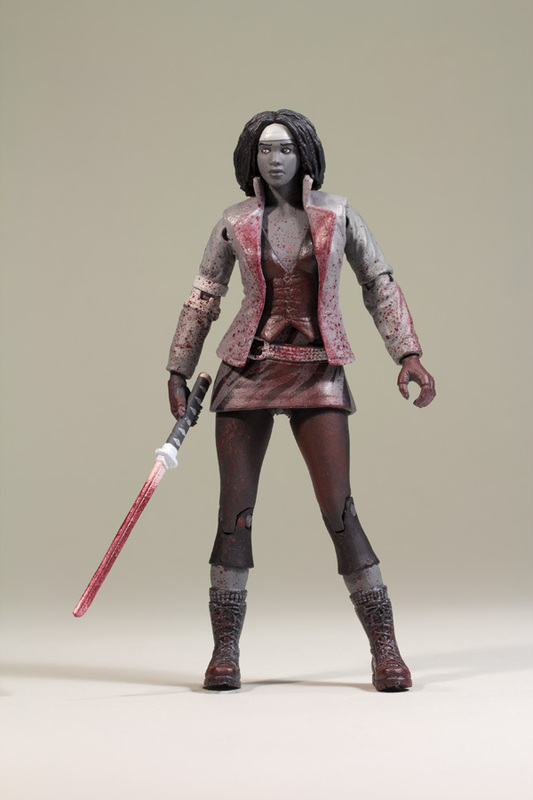 Figure comes with her signature katana sword and various implements of revenge including a power drill, hammer, pliers, and spoon. 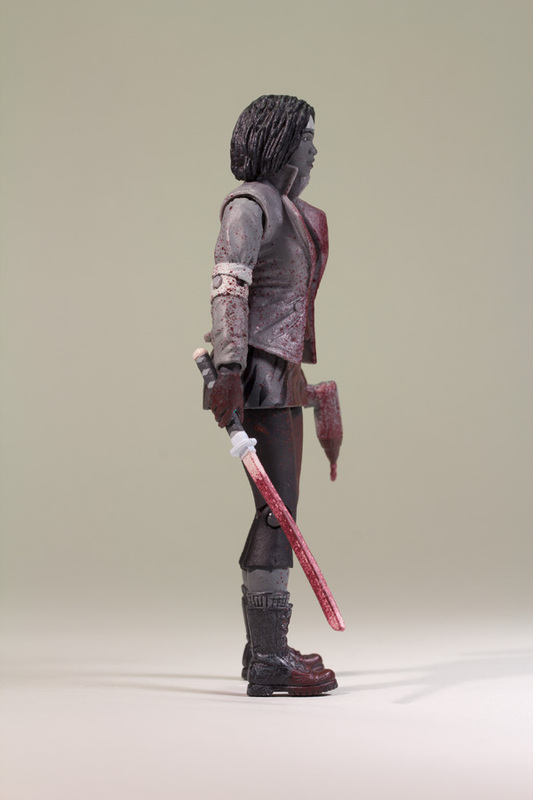 Features approximately 22 points of articulation. To find a comic shop near you, call 1-888-COMIC-BOOK or visit www.comicshoplocator.com. 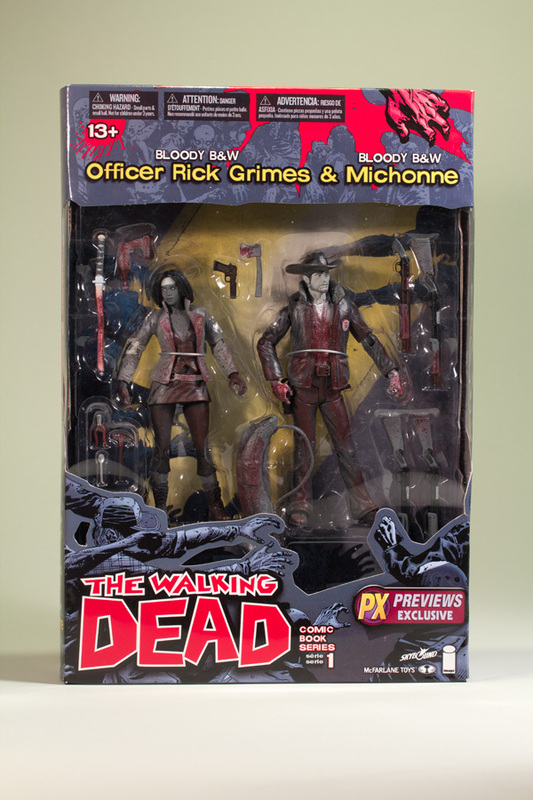 Don’t forget, you can still find the rest of The Walking Dead Comic Series 1 at Toys “R” Us, Barnes & Noble, Hastings Entertainment, Albertsons, and comic book stores nationwide.